I’ll admit it, I have a problem. I’ve been mesmerized by the shiny new phones that are thrown out at the public every 6 months or so with newer, faster, better features that promise to augment every part of your life and provide you with an omnipresent source of entertainment discreetly stowed in your pocket. To make matters worse, my wife suffers from a similar affliction, removing any voice of reason when the question “Should I get a new phone?” inevitably arises. Well, the beginning was innocent enough. I had used Outlook in the corporate world for years and grows accustom to managing my calendar, tasks, notes, and contact lists. I’m not sure if my memory was faulty so I needed a computer to keep me organized, or if using a computer for organization led to faulty memory. Regardless, I’m now pretty reliant on these little devices to remember what our ancestors managed to handle using something called paper and pen (whatever that is). 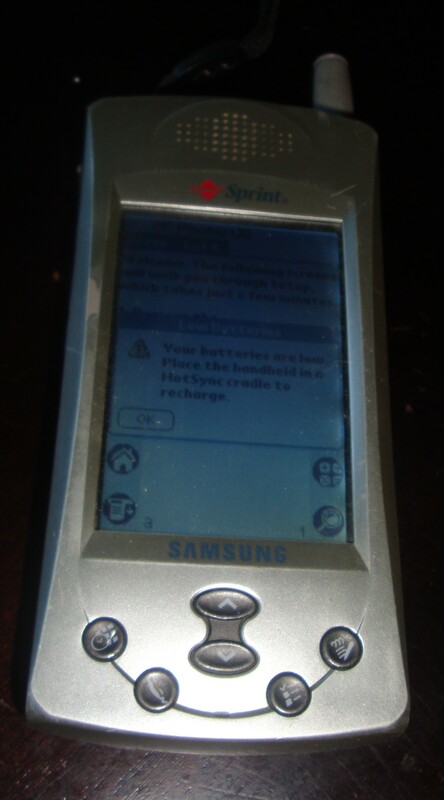 The Samsung SPH-i300 was a Palm OS phone complete with a stylus that had the bonus feature of duplicating as a brick in the event of a street brawl. Not to mention it made phone calls! After setting up the palm desktop software and hooking up the handy docking station to an old school RS232 serial port I had all my contact and calendar data in perfect sync with my desktop… awesome! I played with Palm OS programs loaded through the serial port for a bit (Apps, if you will) and happily chugged along and organized our band tour calendar while on the road. After the resistive touch screen went screwy and would no longer calibrate, leaving a whole row of icons useless and losing the ability to scroll up and down, that phone had to go. 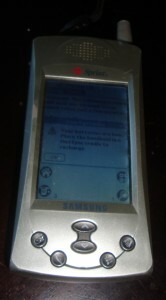 Its replacement, the near identical, but flip phone style Samsung SPH-i500. This little bugger still had the docking station, and had been upgraded to a fancy USB connection! The screen was way better and all the programs I had before happily loaded onto the slightly updated Palm OS. Calendar and contact sync went on unabated, until one little feature it lacked began to bug me, SMS. Yes, texting was on the rise and I now had my future wife to communicate with, so I needed a phone that could handle that sort of thing. 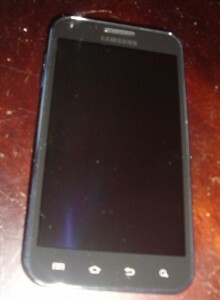 Enter the Samsung SPH-i600, a Windows based phone purchased for cheap off eBay. This one turned out to be a huge mistake. Without a stylus and Palm’s handy graffiti shorthand entry system writing on that thing was a pain. 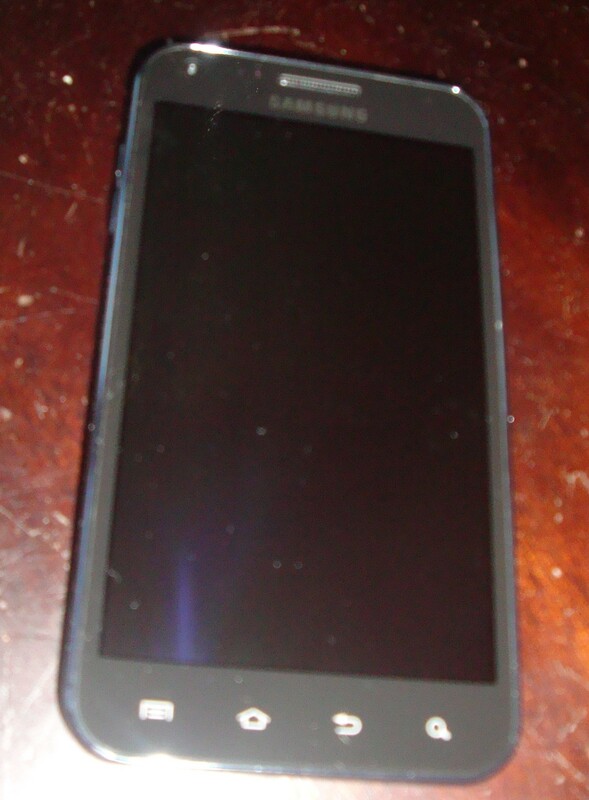 Not to mention the screen was subpar, it was thicker than the i500 I replaced and looked years behind when I got it. Lucky for me since I bought it third party my upgrade came up quickly and I was able to ditch that sucker fast! 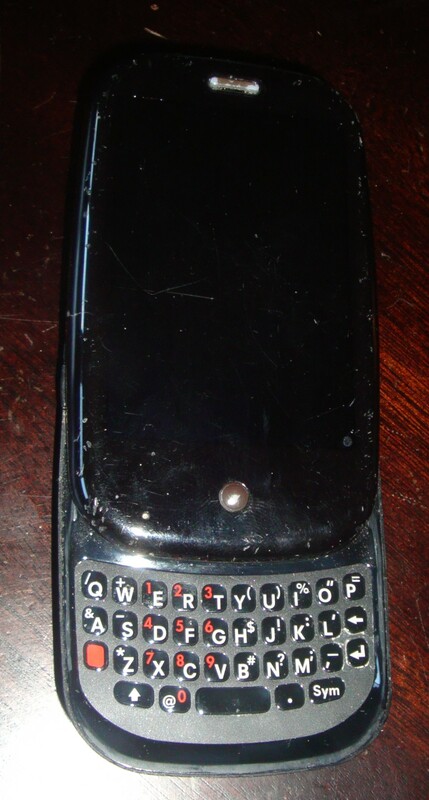 It was time to try a QWERTY keyboard phone, the Motorola Moto-Q. Still on Windows, but much updated and with a better screen that phone did the job. I was texting like a madman and had full sync capabilities. And for the first time I thought to myself, can I get some e-mail on this sucker? The answer was yes, but only poorly. My corporate mail was synced only when plugged in and Yahoo! Was pulled by POP3 access only when I asked it to, but it was still kind of neat. Mobile web browsing?… Only if you’re some sort of sadomasochist. Web pages were super slow, poorly rendered, and difficult to navigate. 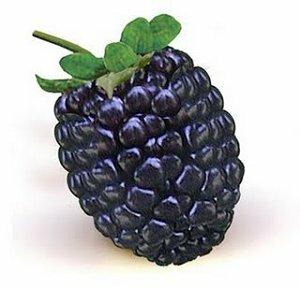 The next time an upgrade came along I was focused on not only managing calendar and contacts, but also e-mail… enter the Blackberry. 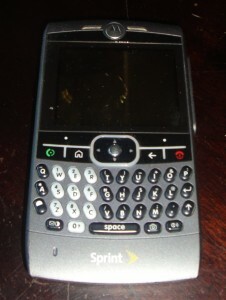 The Curve was my weapon of choice and with a working Blackberry Enterprise Server connection at work, that sucker was an e-mailing master. To this day I’ve yet to meet an e-mailing equal. The trackball was a little funky and web browsing was still a bit weak with the relegation to the mobile versions of sites, but for messaging, it was just plain awesome. 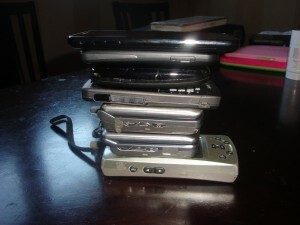 By this point my addiction to trying new phones was peaking, iPhone had come and changed how people interacted with phones and raised the bar to being able to handle multimedia, full web browsing and every little task you could imagine such as the all important fart noise applications inexplicably populating the early App Store. 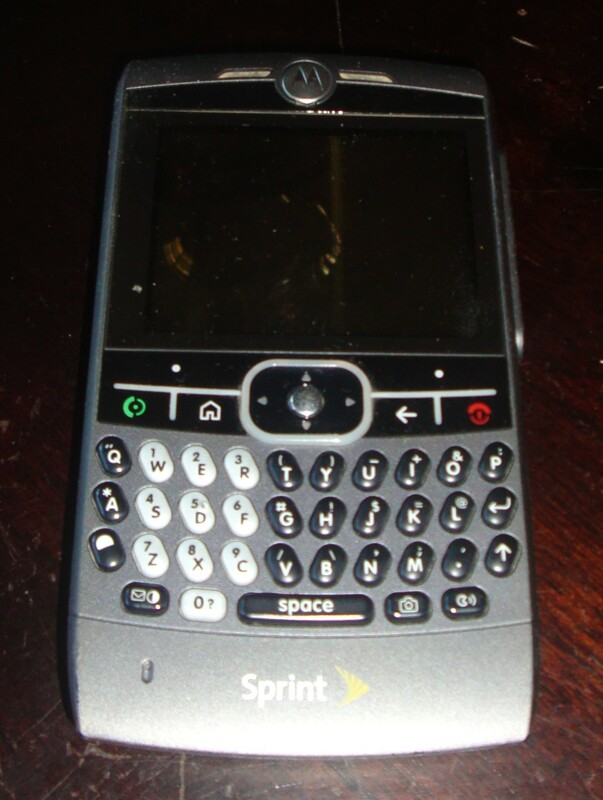 But alas I was on Sprint, and had been ever since day 1. By this time my wife and I had 2 lines with different contract dates and I was reaping benefits from my long term customer status, so no iPhone for me. 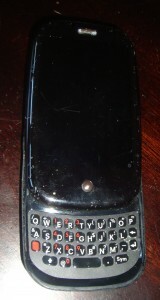 Instead the new Palm Pre with its innovative WebOS was making headlines on the tech sites and looked awesome. We grabbed two of them and indeed, they were awesome. That phone still has a special place in my heart for the beauty of the OS, the simple functionality of the notifications, unified calendar and contacts, and slick multitasking. As physical defect kept cropping up, I kept my Pre alive and hoped Palm would update faster and apps would start flying into the Palm store…. Alas Palm dropped the ball. There would be no successor to the Pre (no, the wimpy little Pixie doesn’t count). 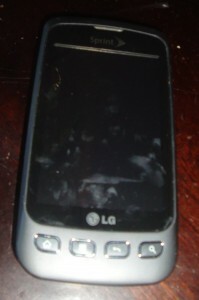 I begrudgingly jumped ship while the WebOS world stagnated and died before my eyes. 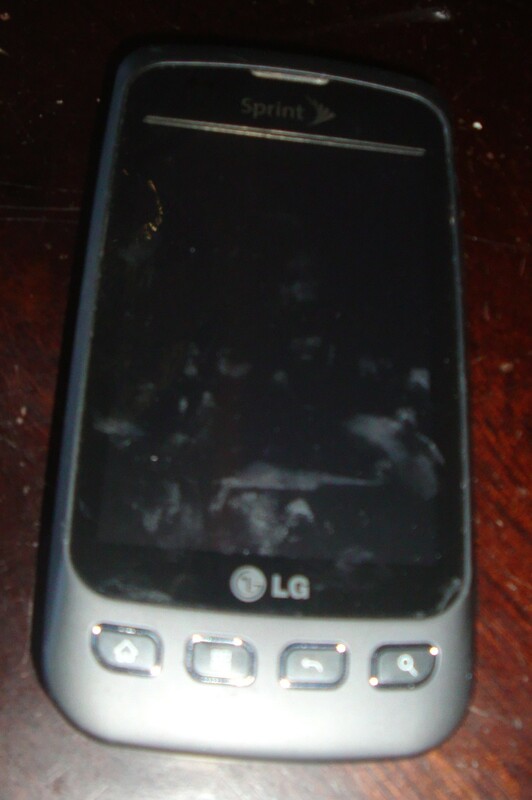 This time around, my upgrade budget was slim, so I went with the el-cheapo offering, the LG Optimus S and first experienced Android. After an inordinate amount of time playing with settings, launchers, widgets, accounts, add on programs, and a huge app market, I made it my own. It still didn’t do a few things my good old Palm Pre did, like handle Exchange Server e-mail so well, notify me of stuff, or integrate calendars seamlessly, but it worked pretty well. Then one day I realized why it was a budget phone. Multiple e-mail and social networking accounts eat memory, and with only 140MB of application memory on board I began hitting the “out of space” warnings. If ignored, these little warnings escalate into “I’m no longer accepting messages”… unacceptable. After uninstalling apps I thought were cool a couple times a week and constantly shuffling off as many programs as I could to the SD card I began watching for my upgrade date to come and plotting my next device. 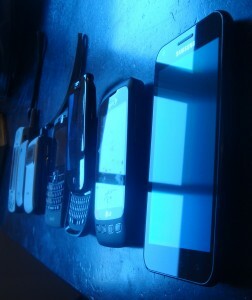 Meanwhile, my wife’s upgrade came up too, and she went with a high(ish) end Windows Phone 7 device, the HTC Arrive. Having not used it as my only device, I have limited interaction, but I’m still impressed with it look and feel. The interface is slick and simple, the responsiveness is incredible. But the hardware is thick, heavy, and just plain inferior. Now if they released a thin version with a big high res screen on Sprint… that would be cool and it just might win me over. The other downside is the limited application support, while many apps are available and look great, the big players still target iOS and Android. My wife has run into a couple too many scenarios where something she wants to do on her phone is not available for Windows… too bad. While that’s likely to change in the future as Nokia and Microsoft push these suckers to the masses, it’s a tough thing to get over now. I’ve had that sucker for several months now, and it has proved to be the best phone I’ve had… ever. The Android experience is light years different than it was on the low end Optimus S. I suspect a good deal of the bad rap of poor responsiveness and crashes is actually due to the scattered and poorly configured Android devices out there, as opposed to the carefully polished and limited choices of iOS devices. Of course that’s a simple opinion, but it’s valid nonetheless. Is the iPhone 4S a bad phone, heck no! It’s just not the choice I made, for personal reasons. My Linux aficionado, program coding buddy may have plenty of argument over the philosophy of the nearly illegally stolen from Oracle Java stack bastardizing his beloved Linux kernel, and his arguments have some merit, but for me I’m still a happy camper. And now that I’ve been using a 4.5” screen for months, those screens on all other phones look and feel so darn tiny I don’t know how anyone can use them. iPhone may have a better one, but that camera is solid! So what are the choices in the future? Slick and simple sharing of what I’m looking at. Why can’t I just fling a web page I’m viewing on my phone over to another platform or browser on the network? How cool would that be: “Check this out!”… fling… the page I was just looking at appears on my PC, or a tablet my Wife’s using, or her phone, or the refrigerator, or my internet enabled tennis shoes, whatever! Rest assured, as the next upgrade cycle comes up there will be way fancier devices than we have now, and I’ll be itching to try them out.